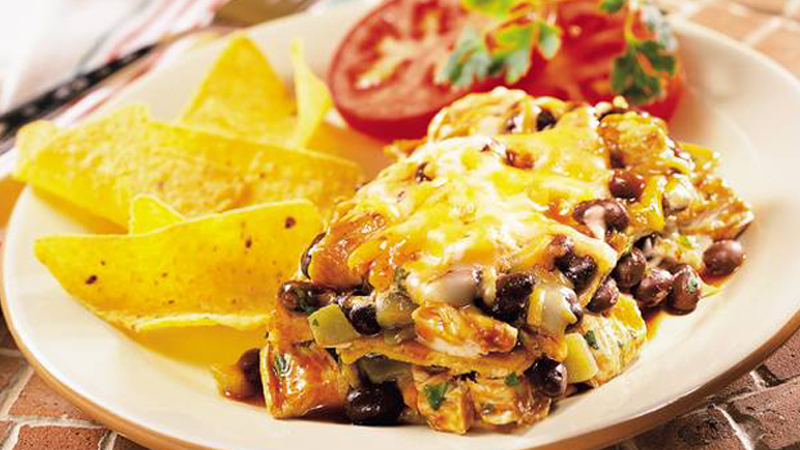 Try a twist on enchiladas with this easy to make layered dish using corn tortillas, cooked chicken, beans and spicy enchilada sauce! 1. Preheat the oven to 180ºC (160ºC for fan assisted ovens), gas mark 4. 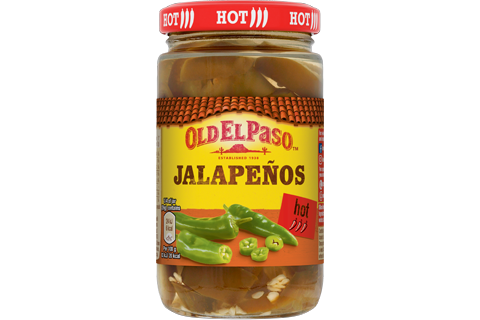 Mix together the chicken coriander, black beans and jalapeños in a medium bowl. 2. 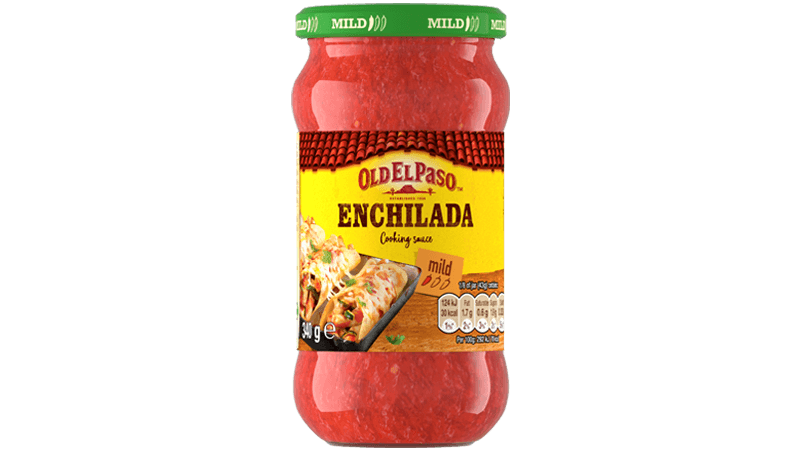 Spread 2 tablespoons of the enchilada sauce in the base of a lightly greased 20cm x 30cm baking dish. Place four of the tortillas on top, overlapping as necessary. Spoon half the chicken mixture over the tortillas and sprinkle with half the grated cheese. 3. Spoon half of the remaining enchilada sauce and half the soured cream randomly over the cheese. Repeat the layers once more. Cover loosely with greased foil. 4. Bake for 30-35 minutes, removing the foil for the last 10 minutes of cooking time. 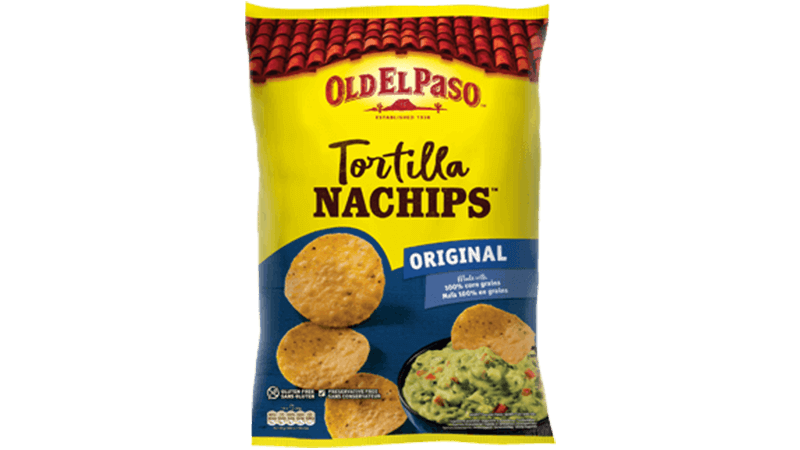 Stand for 5 minutes before serving with Nachips™ and sliced tomatoes. 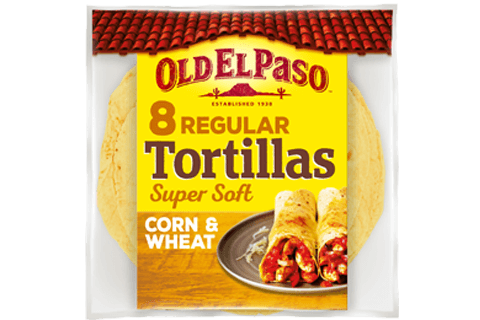 • You can replace the corn tortillas with Old El Paso™ Super Soft Flour Tortillas if preferred. Cut to fit the dish depending on which size you use. • Serve with a peppery rocket and watercress salad with cucumber ribbons for a really filling family supper.